With the latest app update (1.10.0) for the Insta360 Nano, we’ve rolled out a host of new features that make a great camera better. 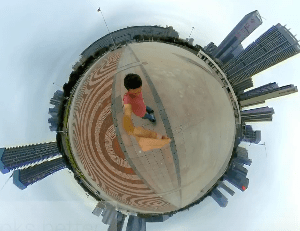 Insta360 Nano users can now live-stream in “Little Planet” mode. “Little Planet” photos and videos are one of the Insta360 community’s favorite ways to give a unique 360 view of their lives. And with Animation Live, Little Planets are coming to live-streaming. 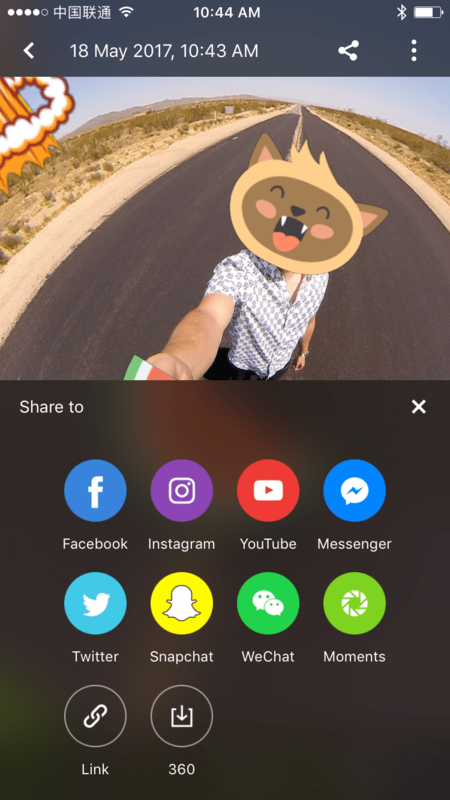 Using the new Animation Live option on the live-streaming interface, users will be able to choose the angle that their viewers see – anything from a standard camera-lens POV, to a fully zoomed-out Little Planet. Users can simply swipe and zoom to adjust the angle of their live-streams. What you see on your live preview screen is what your viewers see too. Along with creating unique perspectives like Little Planet, this feature is also great when you want to shift back and forth between expansive “god’s-eye” views that show the whole scene, and a more focused perspective that allows you to make sure your audience pays attention to a key part of the scene. By popular demand, we’re giving users a way to keep track of the quality of their live-streaming connection in real-time. First off, when you start your live-stream, you’ll get a warning if the bitrate you’ve chosen is too high for your connection. Then, once your live-stream begins, you can monitor the actual frame rate of your stream in real time in the bottom right corner of your preview screen. If you’re not hitting the frame rate you selected for your broadcast (there are options for 15 and 30 fps), then it may be time to lower the bitrate of your live-stream. The new sticker feature can automatically recognize faces and tag them with stickers. 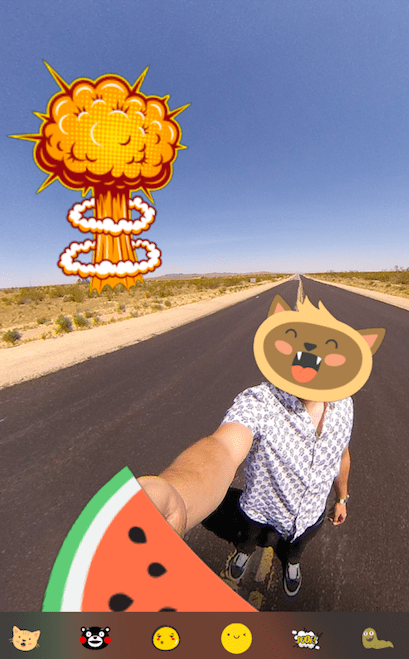 Using our new sticker feature, users can get paste-happy on their 360 photos with an ever-growing range of icons, emojis and animal faces. After you’ve taken a photo, find it in your in-app camera roll, and then hit the smiley face icon to start adding stickers. When you open the sticker editor, the app will automatically recognize any faces in the picture. From here, you can automatically apply stickers from your chosen sticker set to everyone’s faces or customize the scene to your heart’s content with manual pasting. Did a friend ruin your perfect 360 selfie with a gloomy expression? Why not commemorate his bad mood with an ominous rain cloud over his head? Are you bored at work? Why not re-imagine your office as a menagerie of whimsical space aliens? If you can dream it, you can stick it. Snapchat is now one of the in-app social sharing options. Snapchat doesn’t natively support explorable 360 photos and videos at this point. 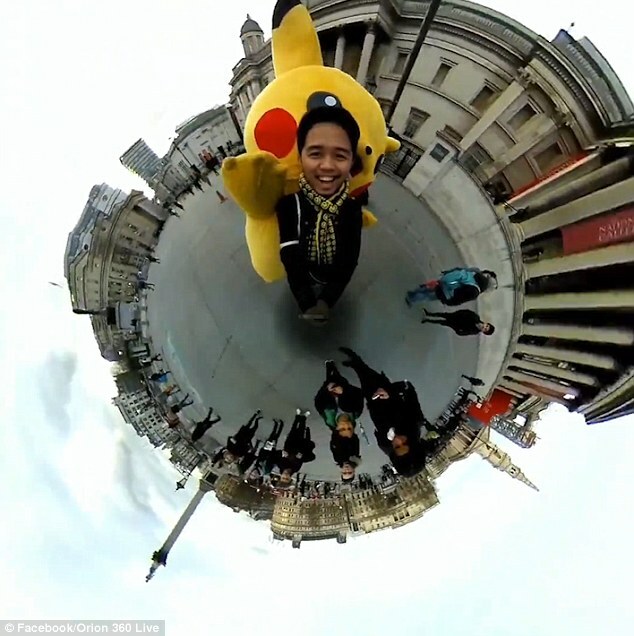 BUT, users can still share “Little Planets”, other screenshots of 360 photos, and Animations (automatic pan-throughs of 360 photos that show off every angle) on the social app. With this latest update, the Snapchat icon will be selectable straight from the in-app social sharing interface. After selecting it, the app will export a copy to local album, which can then be shared on Snapchat. Weibo may not be a well-known app in much of the world, but its active user base is roughly on par with the population of the entire United States. That’s because the app – which functions somewhat like Twitter – is one of China’s most popular social platforms. With the latest Nano update, Weibo joins the ranks of Facebook, YouTube and Periscope/Twitter as one of the platforms that are natively supported by the Nano for 360 live-streaming. Interested users can link up with their Weibo account from the platform selection screen, accessible on the bottom right of the live-streaming interface. If you’re looking to become a Chinese internet celebrity (a potentially lucrative career path), it could be worth an install! 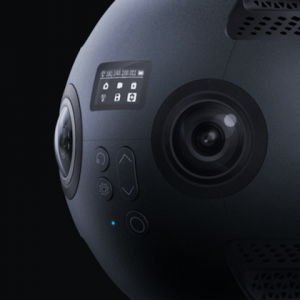 For more info on how to get the most out of live 360 video, check out the resources on our Live 360 page, join Insta360’s user group on Facebook, or sign up for the Insta360 community mailing list.